Download the Laughlin Ranch Golf Club mobile app to enhance your experience. Mobile apps contain many features like scorecard, GPS, tee times, news, deals and more! Click on the icons for more information and free download. The Laughlin Ranch Golf Course is "open to the public" and is the most upscale golfing experience available in the Laughlin area. 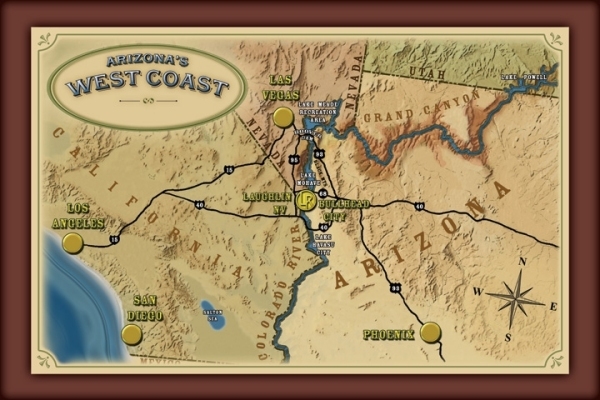 This David Druzisky championship design sits along the rolling desert terrain that is enveloped in the foothills of the glorious Black Mountains. 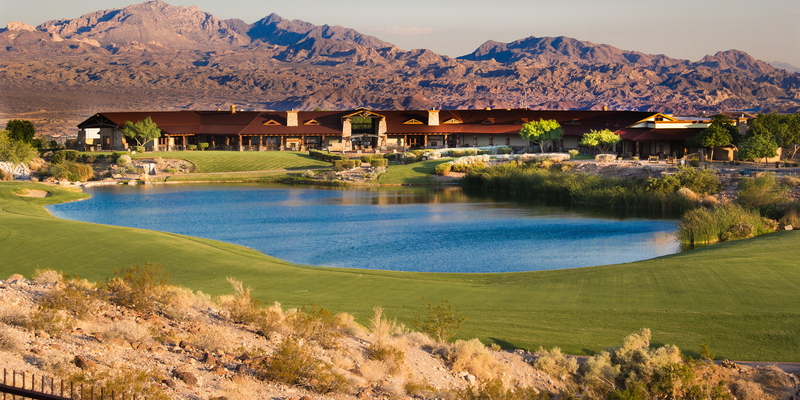 With stunning views of the Colorado River, Casino Row, Lake Mohave & the surrounding mountain ranges, your golf experience is sure to take your breath away. 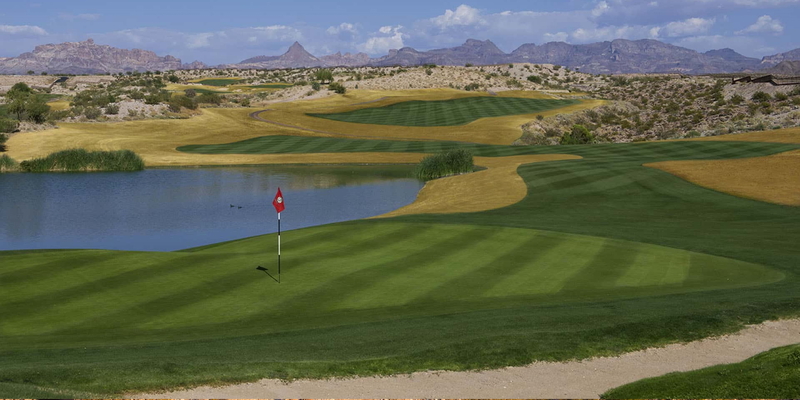 Laughlin Ranch Golf Club boasts 78 sand bunkers, 3 sparkling ponds, meandering streams, & manicured fairways bordered by desert arroyos which provide an aesthetically pleasing & challenging golf environment that can be enjoyed by all levels of golfers. Frequent elevation changes from tee to green on this high desert topography will test the skills of even the more experienced golfers. 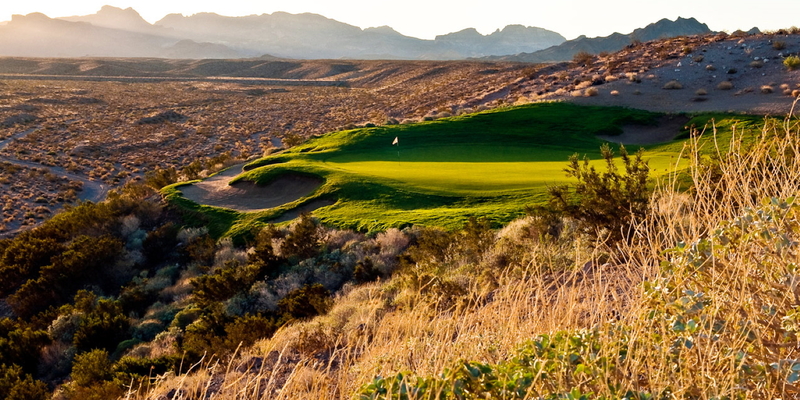 With four sets of tees, Laughlin Ranch Golf Club offers a challenging & memorable experience for golfer's of any level. 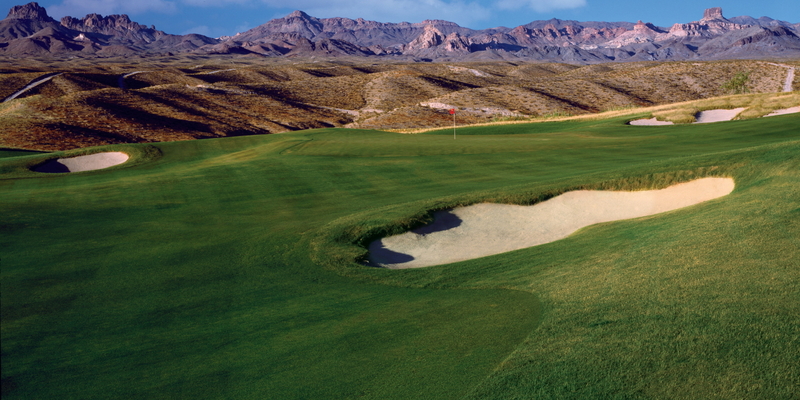 Laughlin Ranch Golf Club was recently voted 11th & 13th best in the state by Golf Digest & Golfweek. Laughlin Ranch Golf Club also offers an award winning clubhouse which includes a spectacular Grill Restaurant & world class Spa. With many different price offerings, great views, interesting hole designs, wonderful service... a round here is highly recommended. Come visit this hidden oasis in the desert. 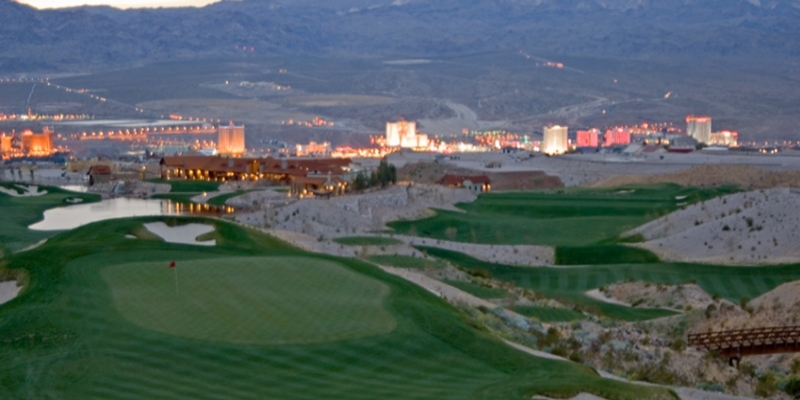 Located just 4 minutes away from all Laughlin casinos, Laughlin Ranch Golf Club is your best bet when visiting Laughlin. Come experience your own part of Laughlin Ranch. Laughlin Ranch is approximately 2 miles south of the bridge on the Bullhead Parkway, or 2 miles north of Silver Creek Road. We are on the East side of the Parkway, so you must enter the property where indicated, traveling from the South in the Northbound lane. Follow the signs up Laughlin Ranch Blvd. Contact Laughlin Ranch Golf Club at 928-754-1243. Fine Dining serving brilliantly prepared steaks, pork, poultry, & seafood dishes. Also available are weekly featured food specials. Banquet Facilities also available for weddings and special events. The Spa @ Laughlin Ranch brings high quality and comfort to its broad array of healthy, authentic and indigenous services with our expert & friendly staff . With 11 treatment rooms, full service salon & state-of-the-art fitness center, your experience is sure to be relaxing & enjoyable. To further extend harmony & relaxation at The Spa, we offer an outside swimming pool, men's & women's tranquility rooms & full steam rooms. For further information on services and pricing, please contact our spa reception desk at (928) 754-4050. Interview With Todd Levitt - Laughlin Ranch G.C. Play there every winter a couple times. Great course and great service. This profile was last updated on 07/02/2013 and has been viewed 26,581 times.